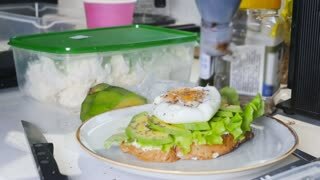 Search Results for "making a sandwich"
Healthy breakfast. Making a sandwich. Professional cook in white jacket and rubber cooks making a sandwich with red fish in the kitchen of restaurant. The chef prepares delicious snacks. 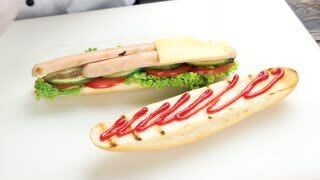 Making Sandwiches with Red Caviar on French Baguette. 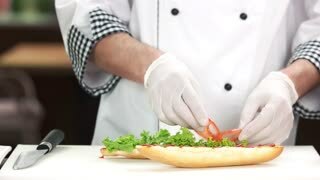 Hands making fast food sandwich. Vegetables, patty and onion jam. Gourmet burger recipe. Hand making waffle sandwich. Ham benedict on a plate. Board with sliced burger bun. Guy making a sandwich. Chef making tasty sandwich. Bun, fresh vegetables and sausage. 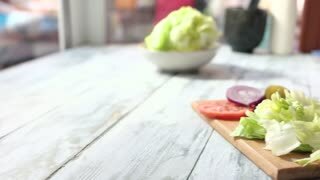 Dark burger bun and lettuce. Man making a sandwich. 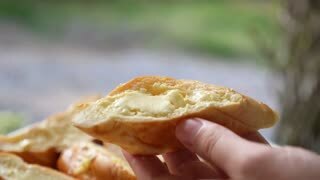 Hands making sandwich close up. Fresh vegetables, sausage and cheese. Easy lunch ideas. 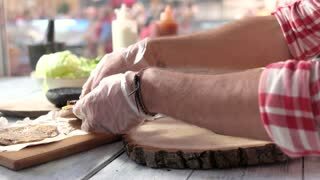 Hands making sandwich on board. Lettuce, pickle and tomato. Work in burger cafe. Hands making sandwiches. Caramelized onions and fresh lettuce. Snacks in cafe bar. Chef making a vegetarian sandwich. Bun and fresh vegetables. 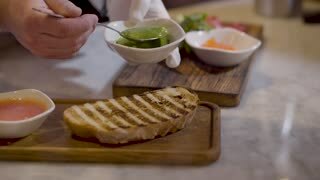 Hands making sandwich with vegetables. Tomato, sliced pickle and onion. Vegetarian burger ideas. 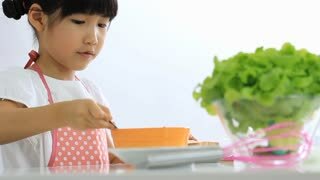 Hands making sandwich with lettuce. Sliced bun on wood board. Veggie burger recipe. 1950s: Man in kitchen removes suit jacket and begins making a sandwich. Pensive teen boy enters kitchen and man offers to make him a sandwich. Boy sits down heavily as man begins to demonstrate. Detail of kitchen table with food and male hands making sausage sandwich, close up. 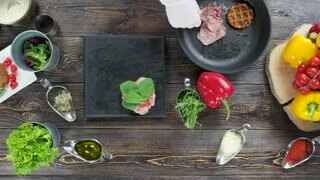 Man cooking sandwich with sausage and tomato on a wooden table in the rustic kitchen Shooting closeup. Slow motion. A woman is making a sandwich on a picnic. 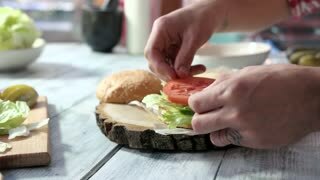 Close-up of female hands and a sandwich. Slow motion. Cook Making Sandwiches. 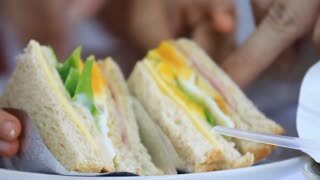 Sandwiches Are Made up of Bread, Lettuce, Cheese, Salami and Cucumber. on the Table Are Also Tomatoes. Top View.